The maximum income tax rate is reduced from 39.6% to 37% for taxable years 2018 through 2025. The tax rates remain in 7 brackets ranging from 10% to 37% of taxable income. Capital gains remain taxed at 0%, 15%, 20%, 25% and 28%. However, the maximum zero tax rate threshold has been set at $77,200 for married filing joint, $51,700 for Head of Household and $38,600 for all other taxpayers. The 0% and 15% thresholds will be adjusted for inflation for taxable years after 2018. The “above-the-line” deductions are all deductions allowable in arriving at adjusted gross income. The Tax Cuts and Jobs Act reformed the following provisions. The moving expense deduction is suspended for taxable years 2018 through 2025. The only exception applies to members of the Armed Forces. All other taxpayers who relocate for work-related purposes loose this valuable tax deduction. The deduction for alimony payments is permanently repealed. The alimony recipient shall no longer include the payments in gross income. In essence, the ex-spouse making the alimony payments bears the tax burden. Qualified Tuition Plans (Section 529 Plans) are expanded to cover educational expenses for attendance at an elementary or secondary public, private, or religious school. The Tax Cuts and Jobs Act has introduced an option to roll-over unused Section 529 plan funds to an ABLE program account. The 2018th standard deduction increases to $12000 for unmarried taxpayers and separate returns, $18000 for Head of Household and $24000 for married taxpayers filing a joint return. For taxable years 2019 through 2025, the enhanced standard deduction would be adjusted annually for inflation. Schedule A is profoundly affected by the new tax law provisions. The simplification of the tax return is the primary reason for the change, as more taxpayers are expected to forgo itemizing in favor of the standard deduction. Practically, all itemized deductions are subject to a change. The medical expense deduction floor is reduced from 10% to 7.5% of adjusted gross income. The reduction applies to all taxpayers, regardless of age. However, the reduction is only available for 2017 and 2018 taxable years. The state and local tax deduction (SALT) is limited to a maximum of $10000 ($5000 for a married filing separate returns). The deduction of foreign real property taxes paid on a personal residence not used in a trade or business is suspended for taxable years 2018 through 2025. Thus, U.S. citizens and residents with a personal residence or vacation home abroad lose the foreign property tax deduction. However, the change could be advantageous to U.S. expats claiming the foreign housing exclusion. Section 911(c)(3)(A)(ii) specifies that foreign property taxes that are otherwise deductible under Section 164 shall be disregarded for the purposes of the foreign housing exclusion. As foreign property taxes are no longer tax deductible, U.S. expats may benefit by adding them to the foreign housing cost computation. The mortgage interest deduction is also modified. Interest paid on home equity loans is no longer tax deductible for taxable years 2018 through 2025. The acquisition indebtedness threshold is reduced from $1 million to $750,000 ($375,000 for married filing separate returns). The reduced threshold applies to personal home acquisition indebtedness incurred after December 15th, 2017. Taxpayers with a mortgage loan originated before December 15th or who entered into a binding contract to close on the purchase of a principal residence before January 1, 2018, and who purchase such residence before April 1, 2018, qualify for the $1 million indebtedness threshold. Again the change could be in favor of U.S. expats claiming the foreign housing exclusion. As interest paid on home equity loans is no longer tax deductible, expatriates may potentially benefit by adding the interest to the foreign housing cost computation. The limitation floor for cash contributions to charities increases from 50% to 60% of the taxpayer’s adjusted gross income. The personal casualty loss deduction has been modified to cover only loss sustained due to a federally declared disaster. Theft and other personal casualty losses are suspended for taxable years 2018 through 2025. All miscellaneous itemized deductions are suspended for taxable years 2018 through 2025. Including tax return preparation fees, tools, supplies, equipment and unreimbursed employee business expenses, investment expenses, union dues, safe deposit boxes, and all other miscellaneous deductions subject to the 2% of AGI limitation. This provision is adverse to taxpayers using personal assets for employment or traveling extensively for work-related purposes. Employers shall consider implementing an accountable plan to reimburse out-of-pocket expenditures incurred by employees for the benefit of the employer. On the bright side, itemized deductions will not phase out for taxable years 2018 through 2025, regardless of the taxpayer’s income. The personal exemptions are suspended for taxable years 2018 through 2025. The increase in the standard deduction is expected to offset the loss of personal exemptions. However, all non-resident and dual-resident taxpayers are negatively affected because they do not ordinarily qualify for the standard deduction. In result, non-resident aliens would be subject to tax from the first dollar earned in the United States. Foreign employers planning to assign employees to the United States should potentially adjust compensation policies. The Tax Cuts and Jobs Act of 2017 permanently repealed the Domestic Production Activities Deduction and added a new Section 199A to the Internal Revenue Code. A temporary business deduction is established for taxpayers actively engaged in qualified U.S. trade or business activities. The Section 199A deduction is available to all taxpayers other than C-Corporations. For most taxpayers, the deduction equals the lesser of the “combined qualified business income of the taxpayer” or 20% of taxable income of the taxpayer over net capital gains. For most taxpayers, the combined qualified business income is defined as the lesser of 20% of the taxpayer's qualified business income with respect to the qualified trade or business, or the greater of 50% of wages paid or 25% of wages paid plus 2.5% of unadjusted basis of all qualified property used in a trade or business. Qualified business income include items of income, gain or loss effectively connected with a qualified U.S. trade or business, with certain modifications. A qualified trade or business does not include the provision of services, except for engineering and architecture and certain low-income service-type businesses. Special rules apply to partners in partnerships and shareholders of S-Corporations, where the deduction is computed at a partner/shareholder level. Also, both itemizers and non-itemizers can qualify for the deduction. Expect a separate article with detailed information about all business tax reform provisions. Excessive business losses generated by taxpayers, other than C-Corporations, are subject to a restriction. 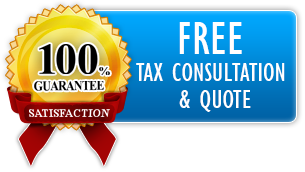 A business loss of up to $250,000 ($500,000 for a married filing joint return) would be currently tax deductible. The excess loss is disallowed and shall be carried forward to the next taxable year as a Net Operating Loss Deduction. This provision applies to taxable years 2018 through 2025, with a corresponding adjustment for inflation for taxable years after 2018th. For taxable years 2018 through 2025, the Child Tax Credit increases from $1000 to $2000 per qualifying child. A new $500 “dependent tax credit” is granted for each other dependent claimed on a return. The child tax credit phases out for taxpayers with adjusted gross income over $400,000 (married filing joint) and $200,000 in any other case. The refundable portion of the child tax credit increases to a maximum of $1400 per qualifying child. Also note that effective for taxable years after 2014, the refundable portion of the child tax credit does not apply to taxpayers who elected to exclude foreign income under Section 911. Citizens and residents with foreign income would qualify for the refundable portion to the extent no foreign earned income exclusion has been claimed on Form 2555. U.S. expats residing in a high-income tax country may consider taking the foreign tax credit instead of the exclusion if they otherwise qualify for the refundable child tax credit. Under the new law, a taxpayer must obtain a Social Security Number for each qualifying child before the return due date. Consequently, retroactive claims of a prior year child tax credit would be disallowed if the child’s SSN has been assigned during the current taxable year. The Saver’s Tax Credit available to certain low-income taxpayers is modified to include contributions to ABLE accounts. The Tax Cuts and Jobs Act also increased the ABLE account contribution limits. The estate and gift tax exemption increases to $10 million for taxable years 2018 through 2025. There is no shared responsibility payment for a failure to maintain minimum essential coverage in taxable years after December 31, 2018. Individuals who fail to purchase health insurance for themselves and dependents would not be penalized. This provision could be interpreted as a backdoor attempt to repeal the Affordable Care Act. The controversial AMT provisions stand. However, the exemption limits increase to $109,400 for married filing joint and $70,300 for all other taxpayers. The increase applies to taxable years 2018 through 2025, with a corresponding inflation adjustment for each year after 2018.